How true it is – the youth are our future! This week I had the pleasure of working with some of my colleagues in the New York area at BTECH in Queens, NY. So – what is BTECH? BTECH is the Business Technology Early College High School. 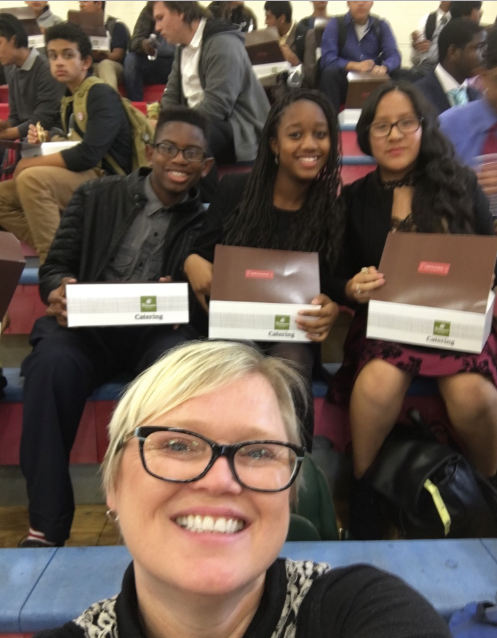 Earlier this year, I had the opportunity to work with the students on a mentor program. 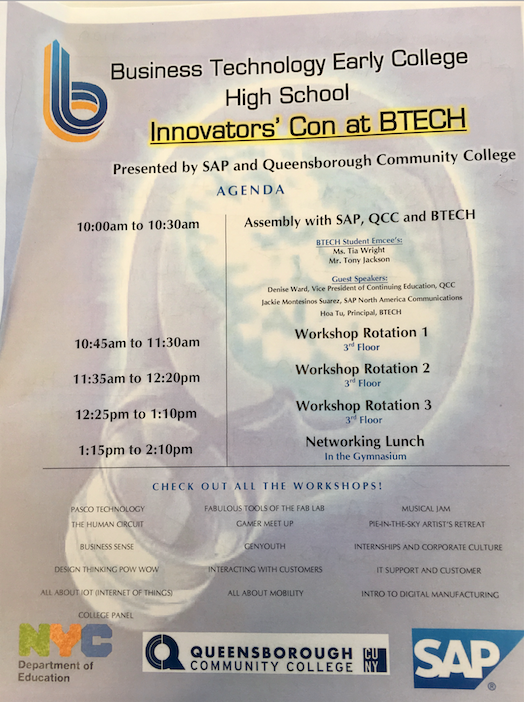 When I got the notification that we would be part of an Innovators’ Con I jumped at the chance to go back to the school and see how the students were doing and to continue to interact and share my experiences with them! So what is SAP Innovators’ Con? My workshop subject (along with my colleague George) was around IT and Customer Support. How has IT Support evolved and kept up with the changes in technology? We talked about how Support works, discussing such things as the dreaded “Elevator Music” when waiting for help on telephone calls, to how support can be about innovation and ideas. We also discussed the various forms of support, from helping solve problems, to “service requests” and discussed the differences. The students engaged in the subject and shared their experiences, and together came up with some great ideas of their own. We found that as the students rotated from one workshop to another, they were able to build upon what they had learned and were able to further come up with ideas. All of the sessions had a great overlap from one to the other, and the students were able to relate and apply what they had been learning as they went to the different workshops throughout the morning. It was so much more than just sharing our experience – it was a fully collaborative set of sessions (3) with the students, where we were able come up with some great ideas, from integration of apps, to virtual school studies. My own takeaway from these sessions is that we have some bright and talented young adults that are getting closer to becoming our next set of innovators and technology leaders! After the 3 sessions we had a networking lunch. We were able to interact further with the students and also the teachers and talk about how such an event is a great way to connect technology folks of today with the technology folks of the future! A huge thanks to the SAP team for organizing such a great “Month of Service” volunteer event. Great work Laura! As a sponsor for a few of the BTECH events it’s exhilarating introducing fresh minds to SAP Technology!